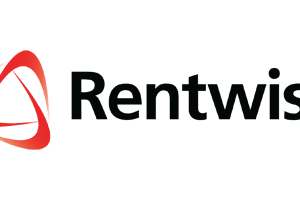 2013 has been a great year for us at Rentwise. But if that’s anything to go by, we are certain 2014 would hold greater promises of success. We started the New Year with a memorable Annual Dinner at Vin’s Restaurant & Bar on 11 Jan 2014. Attendance was almost full as Rentwisers came together during a pleasant Saturday evening to dine and be merry in a wonderful atmosphere reminiscent of an old English Tavern by the countryside. The warm incandescent lights set a calming and conducive mood for great conversations, good laughs and amazing networking with our colleagues. Rentwisers were already trickling in as early as 5.30 pm. By 7.00 pm, the restaurant was almost filled to the brim, teeming with laughter and chatter of Rentwisers who were all geared up to have absolute fun! Upon arrival, we were warmly greeted by the organizing committee who handed out special door gift sets from The Face Shop. The theme for this year’s Annual Dinner was all things “Bows & Ribbons” and the organizing committee took pains to ensure all Rentwisers’ dress code adhere to this during registration. Joanna Lim, President of Rentwise Sports Club delivered her opening speech for the night. “I’m indeed glad to see a good turnout to this year’s Annual Dinner event. You have shown your appreciation to this important event by coming together as a team and for that, I on behalf of the Organizing Committee would like to express our heart felt thanks to your presence and support,” says Joanna. Our CEO, Leanne Ooi and Executive Director, Colin Whitehead also said a few words. “Tonight, I hope you would have a great fellowship with one another amidst all the good food and drinks, and not forget that our strength as a team lies in being a family-like unit. So let down your hair, kick back and enjoy the rest of the evening!” says Leanne. “We have all come through a long way and your success is our success. You owe it to yourselves for being the driver and building blocks of our organization. Therefore, pamper yourselves tonight and have fun,” Colin concludes. We had an amazing MC to usher us through the night’s many entertaining activities and prize-giving sessions. Lucky draw was very much an inclusive event where every Rentwiser won something. The grand prize of a mini Ipad went to Eric Lim, our Assistant Warehouse & Logistic Manager. 7 employees were awarded the 3 year service award and 5 employees were recognized for their 4 year service with Rentwise, while 7 employees walked away with an Ice Watch each for their more than 5 years of service at Rentwise. These 5 year service award recipients are Adeline Yau Min, Bernad Victor A/L Victor Roch, Lim Siew Sooi, Lai Kien Wah, Sam Sook May, Nurul Hidayah Binti Tasriffin and Raja Krishnan. The delectable buffet menu consisted of New Zealand roast lamb, Portuguese Grilled Chicken, Spaghetti and a wide variety of healthy green fruits and vegetables served with free flow juices. A two-piece live band belting out oldies from the 60s and 70s right up to our current day hits accompanied our enjoyment of these mouth-watering dishes. The band played throughout the night and paused at intervals for lucky draws and games fueled by joyous cheers of excitement. Time flew indeed. By 10.30 pm, the event drew to a close. Everyone was tired but not without leaving with beaming smiles of satisfaction and exhilaration. Due credits goes to Joanna Lim and the organizing committee who have put in their 200% into making this event a resounding success and night to remember. We would like to take this opportunity to thank our Sponsors and Management for their efforts in putting together this lovely get-together for us. It was truly a blast! Most of all, on behalf of all Rentwisers, I would like to cheer us on to an exciting 2014. We should give ourselves a pat on our back for making this Annual Dinner an eventful and memorable night.